And on another high (musical) note, we are publishing Music From the Fifth Planet by Anne Nicholls -- due to be launched at Novacon next month. "All of these are beautifully written: Anne Nicholls evokes setting and directs action with great skill so that the tales flow along at an effortless pace from daring beginning to satisfying end. I wish she would write more adventure stories.” — Justina Robson! 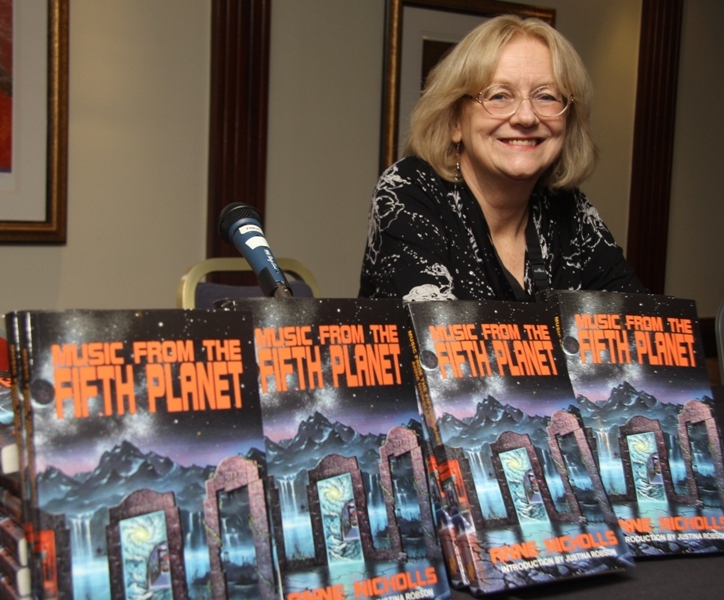 Anne Nicholls about to launch Music From the Fifth Planet at last weekend's Novacon.